You are here: Home / South America / Brazil / Brazilian Roads and the Best Carnival In Brazil? While I have been plagued by rain during my ride north toward the Amazon, I must admit that Brazilian roads are for the most part very good. Sure there are pockets of areas where pot holes, or deteriorating pavement can be frustrating. In these cases, I would much prefer dirt or gravel. But many areas the roads have recently been painted with center and shoulder lines and while I prefer to leave night riding as a bad memory, some roads have center-line reflectors. 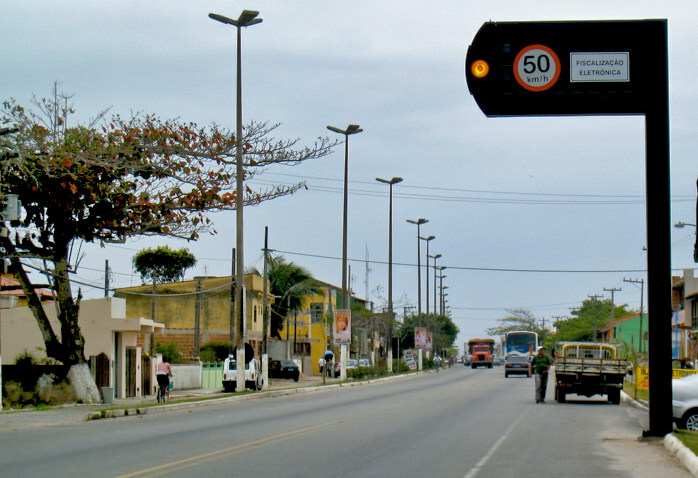 These massive speed control signs are everywhere on the national and state roads of Brazil. Not sure exactly what they do, but traffic is consistently obedient when approaching one. 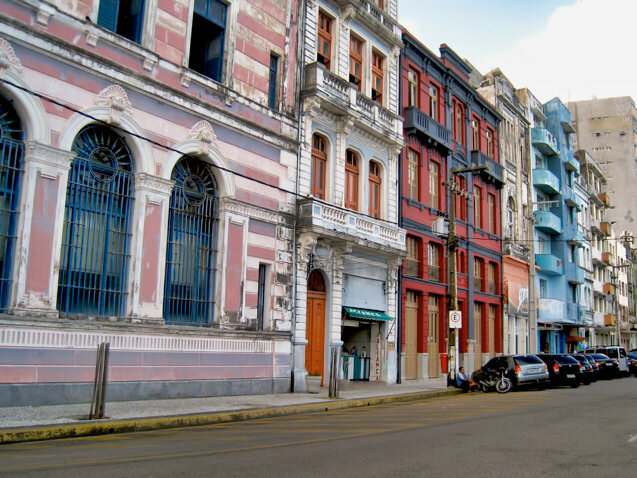 Color buildings in the Boa Viagem district of Recife point to the history’s colonial and colorful past. Perhaps the oddest thing about Brazilian roads are these huge speed control contractions that pop up near city limits. A tall post with a billboard sized sign and a flashing light indicates that motorists are being watched. At least that what it appears. Sometimes while speeding along the road traffic immediately slows, it takes me a minute but then I realize it’s one of the speed control devices and usually a few bumps (lombadas) are in the road. Drivers are very cognizant of these devices and like lemmings always slow to the speed dictated by the sign and alerted by the flashing yellow light. The other traffic related feature that I found to be very positive is the use of jug-handles for making left turns across busy highways. That is if you wish to make a left turn, you don’t just stop, put on your turn signal and sit stopped in the middle of the road. No you actually pull to the right into a turn lane and wait for traffic to pass. Then you cross the highway. And in areas where there are no “jug-handle” turn-offs, motorists will actually pull onto the right shoulder and wait for traffic to pass. This is certainly a safer way to make such turns and I’m sure avoids many accidental rear-end accidents caused by in attentive motorists zipping at Brazilian break-neck speeds down the highway. 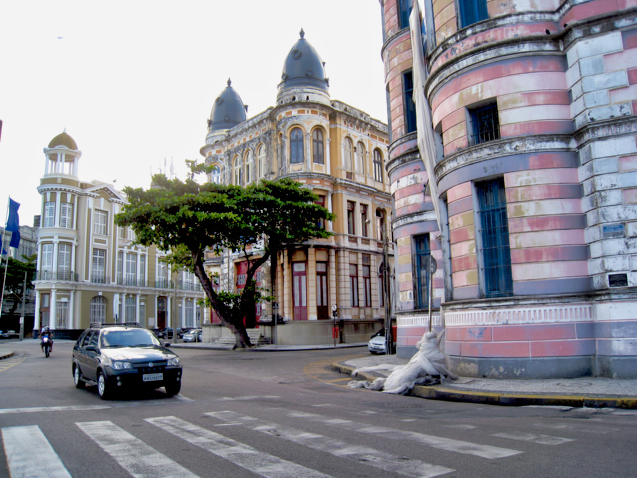 I continued my journey northward toward Recife and to the 18th-century city of Olinda. 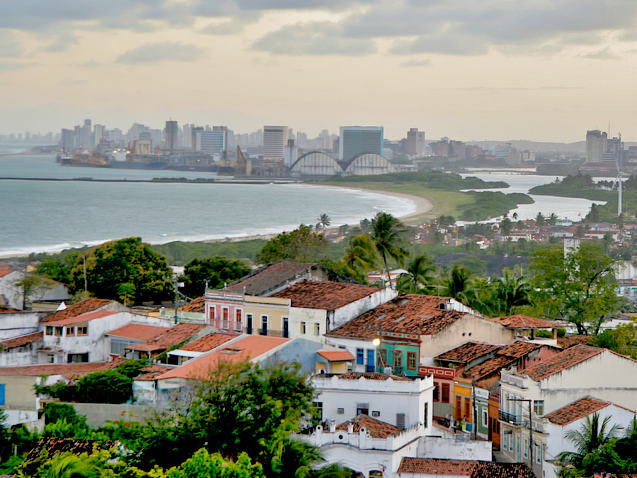 A relatively small city, the more than 20 Baroque churches, convents, chapels and colorfully painted houses, I’m told that the best “Carnival” happens here, on a bluff above the hectic port city of Recife. I found a small pousada off one of the many plazas flanked by a nearly 300 year old church. 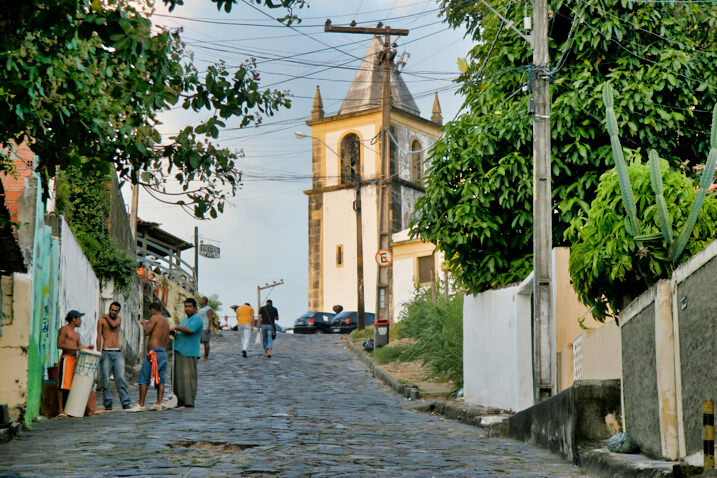 Like Salvador, Olinda’s Cidade Alta and its colonial charm have earned it UNESCO World Heritage Status. Dozens of dance and art studios feature exhibits and products geared toward the annual party known throughout Brazil as “Carnival”. 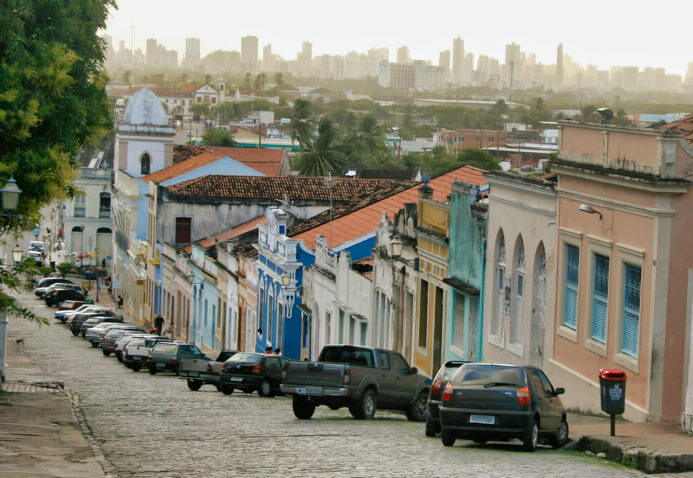 Colonial & colorful Olinda sits high on a bluff above the port city of Recife. The cobblestoned streets of Olinda combined with the colorful painted houses and artisan studios makes walking around this old town relaxing and fun. On this corner an ad-hoc percussion group practices their beats while the town simply walks by. Here one of the towers of the 1537 Igreja da Sé sits high above the city. 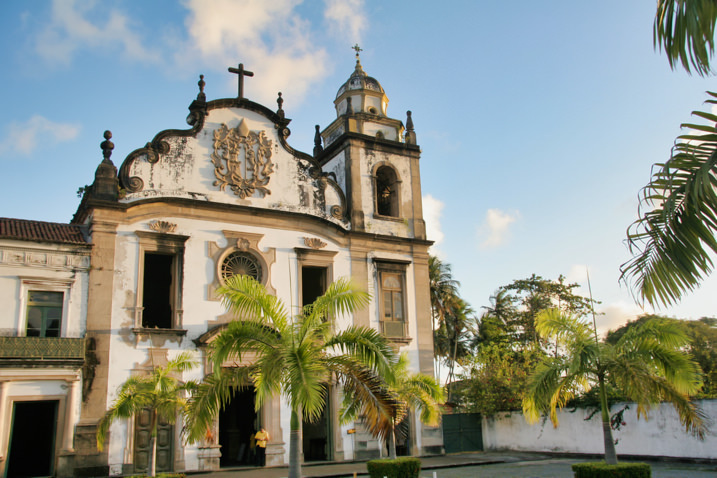 There are more than 60 baroque style churches on the bluff above the Atlantic Ocean in Olinda. Colorfully vibrant and energetic, Olinda is a city of contrasts as the busy and crazy city of Recife sits in the background. https://i2.wp.com/www.worldrider.com/wp-content/uploads/2014/08/electronic_speed_control-tm1.jpg?fit=550%2C376 376 550 allan https://www.worldrider.com/wp-content/uploads/2014/08/worldrider_logo_white_border-trans1.png allan2007-10-12 18:07:252007-10-12 18:07:25Brazilian Roads and the Best Carnival In Brazil? I love all of the color they use on their buildings! I’ve been following you from the beginning, and have enjoyed every bit of it! Thanks for letting us follow along. I believe those traffic signs are photo-radar. I stay with friends in Rio regularly and left them with an expensive speeding ticket after one of my trips. Onward North. Betting On The Sky. Two Long Days to Belem.